Authorities said over 150 rockets and mortar shells were launched at Israeli communities since Wednesday evening. The barrages by the Hamas terror group continued throughout the night and into Thursday, seriously injuring a woman when a projectile hit a home in the Eshkol regional council. In response to the attacks, the Israeli army said it struck over 140 Hamas targets in the Gaza Strip overnight. The military said its raids targeted training compounds as well as weapons manufacturing facilities and storage warehouses. The air force also targeted sites from which rockets were being launched, including a car that the army said was being used by a cell of terrorists. One Hamas operative was reportedly killed in the airstrike. Unconfirmed reports claimed he was the relative of a senior Hamas commander. The woman who was seriously injured in Israel was a 30-year-old foreign worker from Thailand. She suffered injuries to her abdomen and limbs. Another person was lightly injured in the same barrage, and several were treated for shock. Most of the rockets fired from Gaza hit open areas. The Iron Dome defense system — which targets only missiles projected to strike communities — destroyed 25 of the rockets. Conricus said the system was operating as well as the military had expected, but stressed that it could not provide perfect, “hermetic” protection. Hamas claimed responsibility for the rocket attacks, saying it was avenging the deaths of two operatives killed in an Israeli strike the day before — a strike that came in response to what the IDF initially identified as a shooting attack on its forces, but which was apparently an internal Hamas exercise. “I am deeply alarmed by the recent escalation of violence between Gaza and Israel, and particularly by today’s multiple rockets fired towards communities in southern Israel,” UN envoy Nickolay Mladenov said in a statement. He called on all sides to step “back from the brink” and restore calm. US Middle East envoy Jason Greenblatt also condemned Hamas in a tweet. “Another night of terror & families huddling in fear as Israel defends itself,” he said. 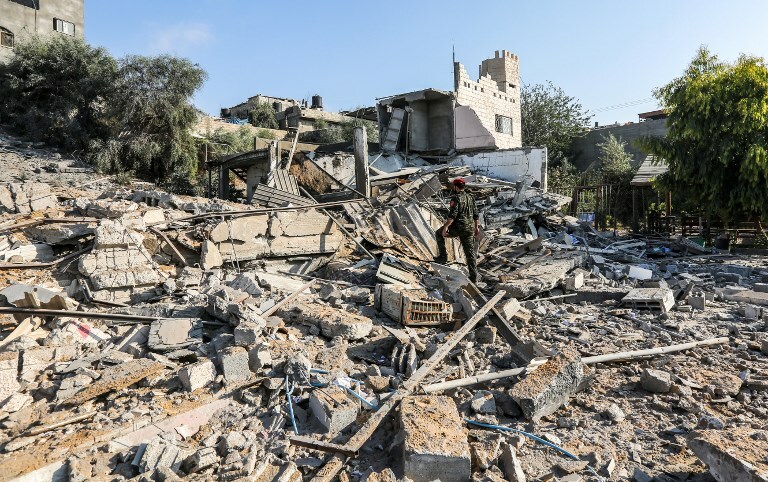 The recent rocket fire represented a major uptick in tensions along the border, amid intensive talks between Israel and Hamas for a long-term ceasefire. Judah Ari Gross and Adam Rasgon contributed to this report. This entry was posted on August 9, 2018 at 10:13 AM and is filed under Uncategorized. You can subscribe via RSS 2.0 feed to this post's comments. Both comments and pings are currently closed.